Your child accidentally spilt gravy on your brand new carpet? Don’t panic, just call us. Carpet Cleaning for Perth is one of the most efficient and professional carpet cleaning services in Australia. We have the expertise and knowledge of all kinds of stains and germs that make your carpet look dull and shorten its longevity. 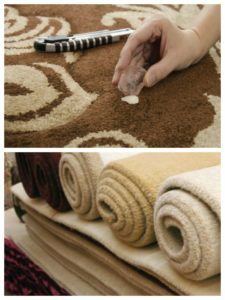 The two popular methods of carpet cleaning are dry cleaning and steam cleaning. Dry carpet cleaning needs chemical solvents on the carpet and little or no moisture to break it down. Then, a bonnet and rotary machine are used to clean the carpet. Steam carpet cleaning is done in two phases: in the first, the carpet gets treated with a chemical substance to create a chemical reaction. It liquefies the dirt, grease and other oil-based substances present in the carpet. In the second phase, hot and pressurised water is sprayed on the carpet. After a 10-15 minute break (which is given in the cleaning process for the chemicals to neutralise all sticky elements right till the root of the fibre) the solution is removed with a vacuum, thus deep cleaning the carpet. You can use a dry cleaned carpet immediately after. However, you should ideally not use a steam cleaned carpet immediately as it stays wet for a while. The best time to start using it is at least 12 hours after the cleaning. Chemicals used in dry cleaning are harsher and often have a strong odour (which could be harmful) than those used for steam cleaning. This is where we come in. Our products are tested to contain minimum erosive chemicals. Steam cleaning does a deep, thorough cleaning and this is what we prefer in and around Coogee WA 6166. There are some debates about steam cleaning shrinking the carpets. That will never happen if you use Carpet Cleaning for Perth professionals. These unfortunate situations occur when homeowners inexperienced at steam cleaning, try their hand at it. It is important, therefore, that you get help instead of trying to do it on your own. Steam cleaners are difficult to rent as they are not easily available. However, since Steam cleaning requires some degree of expertise, it is best if you contact us to do it for you. All carpet manufacturers recommend steam cleaning over dry cleaning to increase its longevity. It is, therefore, best advised to use steam cleaning services. We have the latest equipment with a well-trained team. At Coogee WA 6166, we have a team who knows their carpet and stains at the back of their hands. We are very prompt with our carpet cleaning service so don’t hesitate to get in touch! Just call us or mail and ask for a free quote for any carpet cleaning service. We pay special attention to all your needs, so you can rely on us to take good care of your carpet! Get in touch with our Coogee WA 6166 team and make your home shine. We Are Now at Coogee WA 6166 To Increase The Longevity of Your Tiles! Just as we take care of ourselves, we need to take care of our house too; otherwise, it’ll soon start to look worn out. The more you delay with a proper cleaning, the more difficult it is to restore its old look. Since we use floors the most, they start looking dirty and old really quickly! Often mopping isn’t enough and what your floors need is a thorough tile and grout cleaning from the professionals. Carpet Cleaning for Perth is happy to help you. With our expertise, we promise you the best of services combined with a competitive pricing. 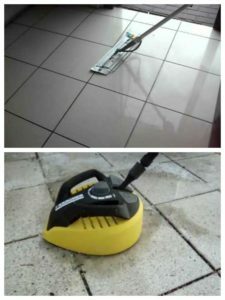 Why Is It Essential to Have Professional Tile and Grout Cleaning? How many of us truly clean grout on a regular basis? While we manage to at least vacuum and mop the floors on a regular basis, we usually neglect grout, because cleaning it is a tedious activity. We start noticing grout only when it starts to become an eyesore. Whether we like it or not, grout requires regular cleaning to avoid cumulative damage. A stained tile looks horrible and tiles can be porous too, like grout. This could spoil your tiles over time – a common problem of all Coogee WA 6166 household. Clean grout and clean tiles change the look of the entire area. Cleaning tiles and grout professionally reduces the growth of mould and mildew. Our professional tile and grout cleaning ensure that all build-up of soap and dirt in difficult, hard-to-reach areas is removed. Every area of the house attracts a different kind of trouble for your tiles and grout and therefore, needs a different treatment. Let Carpet Cleaning for Perth examine every corner and we promise you best-in-class clean floors. Bathrooms get dirty the fastest since they are constantly used by several people throughout the day. There are two common issues we see in bathrooms. Bathrooms, if not properly ventilated, will attract mould. Mould needs warm, damp conditions to thrive on. If you regularly use the shower, it’ll cause damp conditions. Mould loves the surface of grout and starts spreading from there. Our cleaning team at Coogee WA 6166 prevent this at all cost. Tiles are under the constant threat of discolouration due to frequent usage of soap. When you bathe, soapy water will be on the floor and even if it goes, over time, it has its effect on the tiles. Soap can be surprisingly difficult to remove if you don’t have the right equipment. This is where we come in with our expertise. The kitchen will similarly have different issues of oil stains, grease, food stains and soap. The foyer will most likely have mud, soil, germs and other outdoor dirt. And the list goes on. We have a wide range of products at our disposal for each kind of tile and grout and also for each kind of dirt and stain. Our well-trained personnel can handle all kinds of stain and tiles, no matter how old or new. What would take you hours to get a satisfactory cleaning, would take us a fraction of the time to provide excellent cleaning. We are prompt with our response and are easy to get in touch with. Call us at our Coogee WA 6166 office now. Carpet Cleaning for Perth Offers To Rejuvenate Your Upholstery At Coogee WA 6166! Upholstered furniture adds character to your living room. But they require a lot of love and care otherwise they’d get dull and worn out very easily. Upholstery is the favourite place of all dust mites, stray food crumbs, dust and food stains. You need professionals like us for the best upholstery cleaning services your furniture can get. If the TV is in your living area, chances are your family would be eating on the couch instead of the dining space. This will invariably lead to an accidental spill or two. Lack of proper care can make the fabric or leather to lose its colour and shine. Sometimes leather upholstery develops cracks when you use incorrect solvents to clean them. Incorrect solvents on leather upholstery can lead to peeling as well. Tends to form in low-temperature high humidity, this white bloom is a typical sight on leather/ semi leather upholstery. Mould, bacteria, humidity etc are common factors that cause this. If any liquid manages into the corners of the furniture, mould, which love dark and damp spaces, starts growing and thriving. They cause allergic reactions and they feed on human skin cells so they grow the most in upholstered furniture. Our team of experts at Coogee WA 6166 will come to your house first to inspect the upholstery and check the fabric, the dirt, grime and stains. Post inspection, they will decide on the cleaning materials to use. Based on the fabric, we do a pre-test to check for colour fastness. We then use a special solution to dissolve the stains. We rub a damp or a dry shampoo on the fabric to neutralise any germs or stains which are deep inside the fabric. It is left to dry for a bit and then through hot water extraction or steam, we vacuum, ensuring removal of even the most deep-seated germs. We finish it off by deodorising and voila! Your furniture looks as good as new! Leather upholstery requires different cleaning equipment from that of fabric; which we are able to provide. The more care taken during cleaning the longer the life of your furniture will be. Our team at Coogee WA 6166 ensures that the right amount of care is provided to your furniture. We check for colour fastness before starting with the cleaning process. Over wetting during upholstery cleaning shrinks the fabric and causes odour. Our professional team are experts in their field and therefore ensure that this situation does not arise. We use different cleaning methods for leather and fabric. At Coogee WA 6166, we have the latest cleaning equipment that fall in the low moisture category even with a hot water system. So don’t hesitate or over think; you will make the right choice for your upholstery cleaning if you come to us. We Are Your One-Stop-Shop for All Your Household/Commercial Cleaning Requirements! Carpet Cleaning for Perth takes pride in the quality of work we provide, our promptness and our affordable services. This guarantees an overall great experience for you, be it carpet cleaning, tile and grout cleaning or upholstery cleaning. We do office cleaning, for sale cleaning, industrial cleaning, etc apart from your regular household cleaning. Our team at Coogee WA 6166 is highly proficient in their work. We ensure that we reach the deepest of layers while cleaning any material and eliminate all possible dirt and germs. With us, be sure of quality service and a clean home. So why wait? Give us a call now! Excellent Carpet Cleaning Services in Coogee WA 6166 – Carpet Cleaning for Perth – call us on 0424 470 460.